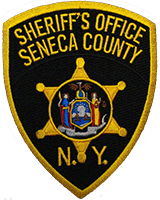 The Seneca County Sheriff’s Office reports, on April 9th, 2019, members of the Narcotics Unit arrested Brian L. Buck, age 49, of 75 Virginia Street Apt 4, Waterloo, New York. The arrest stems from an investigation where It is alleged that Buck was in possession of drug paraphernalia and crack cocaine. Subsequently, Buck was charged with Criminal Possession of a Controlled Substance in the Seventh Degree. Buck was arraigned at the Centralized Arraignment Court and remanded to the Seneca County Correctional Facility. Buck is to reappear at a later date to answer the charges.